Registration is now open. Click the REGISTER NOW button to begin. We are a New Zealand Business and all transactions are in NZ dollars and inclusive of GST (15%). Cancellations must be notified in writing by email to theshiftaotearoa@confer.co.nz. Cancellations received on or before 24 April 2019 will be charged an administration fee of $100. No refund will be given for registration cancellations received after 24 April 2019 (including “no shows” at the conference). Registrations can be transferred to another delegate at any time by contacting theshiftaotearoa@confer.co.nz. 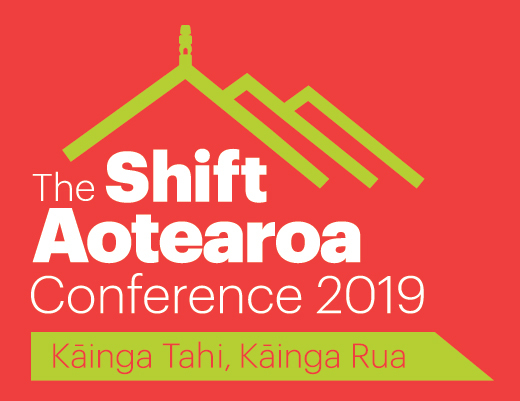 Please click here to view the Terms & Conditions in relation to purchasing goods or services for The Shift Aotearoa 2019 Conference.